I have worked on mural projects in temples and other public spaces during the fifteen years before I moved to Australia in 1996. 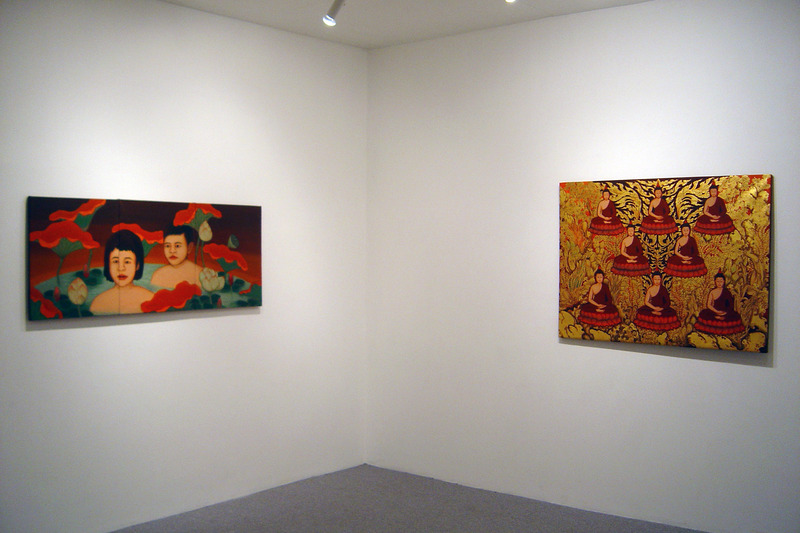 My works had largely been involved with Buddhist themes such as the Life of the Buddha or the Narratives of Buddha’s Previous Lives. Now I live and work in Australia, my works have changed accordingly. They involve more of my own experience and personal life. The work is the exhibition Turtles, a Fish and Ghosts…are from 1999-2002. 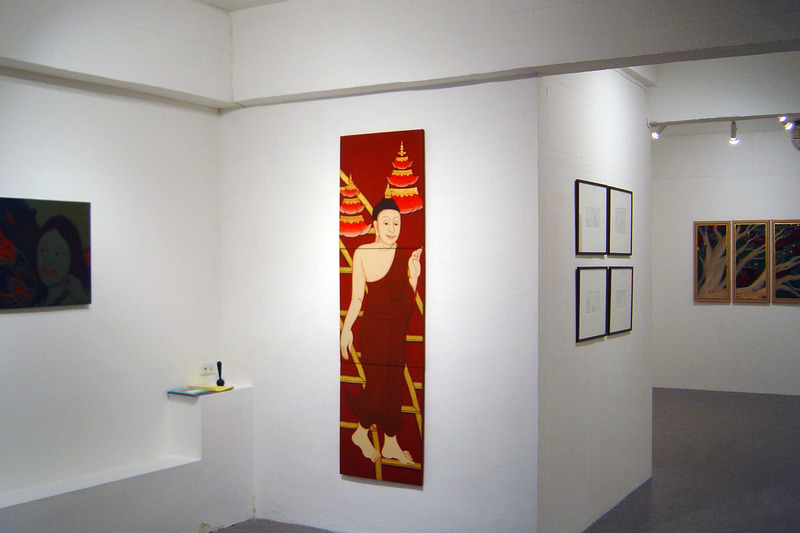 They include earlier work about the lives of the Buddha in which I chose to work on a six-panel screen instead of on the wall. The other works are later and reflect my experience in Australia. 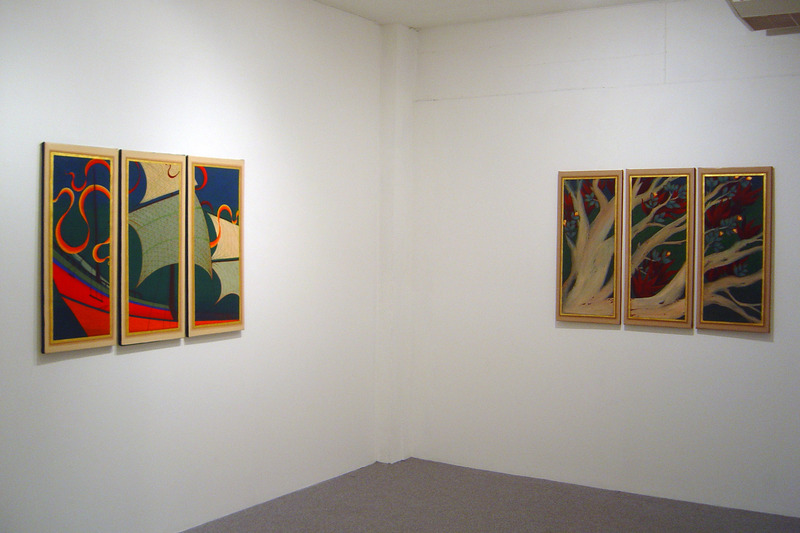 The four sets of triptychs, Earth, Wind, Water, and Fire depict my reaction to Australian scenes through the interpretation of Thai pictorial elements. The division of subject matter in these works is as if we are looking out through the window from the inside of a temple. This view comes from my habit of looking out at things when I had to work mural paintings around the door and window space on the temple wall. 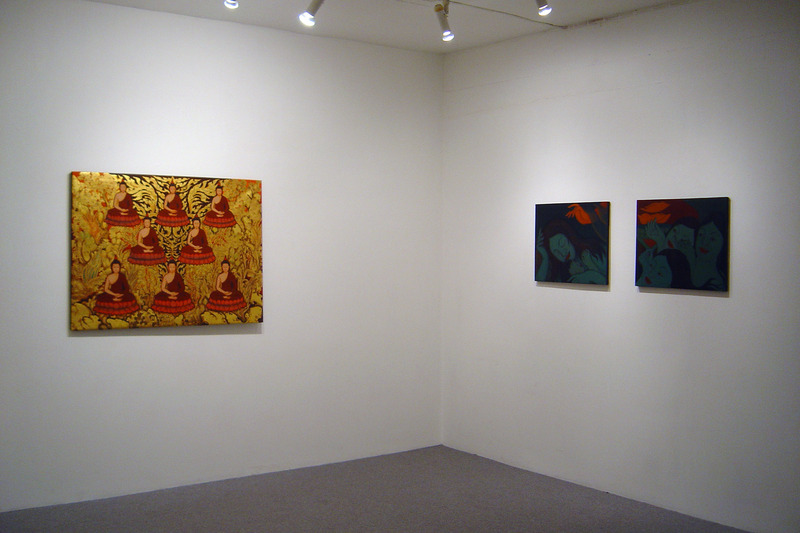 Another group of works from the same period reflects on my life in the past, recorded as a memory flash-back. 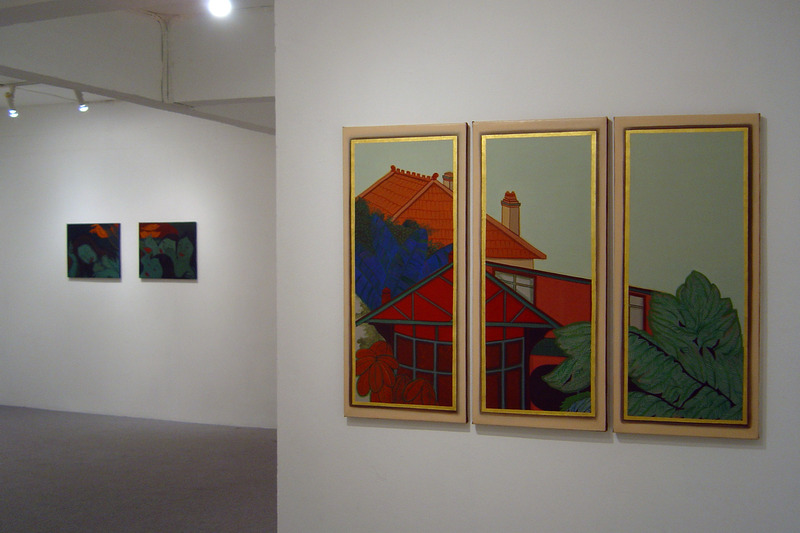 One pair of paintings is about my brother’s ordination which took place not long before moving to Australia. The other pair records my experience at nine years of age when I was mesmerized by a grand Buddhist ceremony in a Thai temple, with monks chanting for days and nights over rows of hundreds and thousands of newly cast Buddha statues. The exhibition Turtles, a Fish and Ghosts…shows the transition of my work when moving into another country, as well as sees the possibility of using skill in narrative painting for a new and different way of looking.